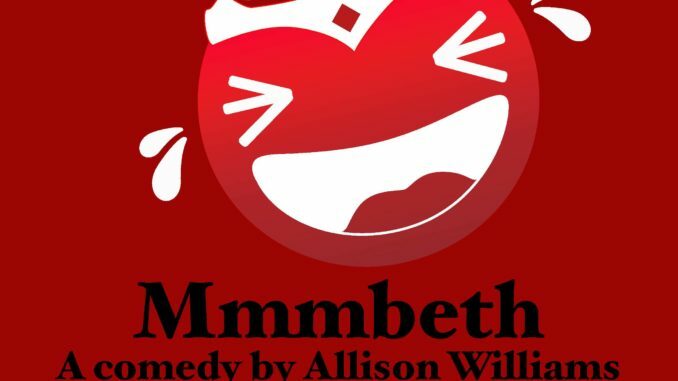 Come join us on April 12, 13, and 14 in Turner Auditorium in Chowan University’s McDowell Columns Building, for the theatrical performance of Mmmbeth, a comedy by Allison Williams. It’s Macbeth, but Shorter, Faster, Funnier. This production is directed by Steven Harders, Professor of Speech and Drama at Chowan University. The 10-member cast is comprised of Chowan University students. Performance times are Friday, April 12 and Saturday, April 13 at 7:00 p.m., and Sunday, April 14 at 2:30 p.m. Tickets: $3.00 donation. All funds raised will benefit PAWS of Hertford County-Bringing hearts together to provide animal welfare and security.